Sometimes light, clean tastes are best. 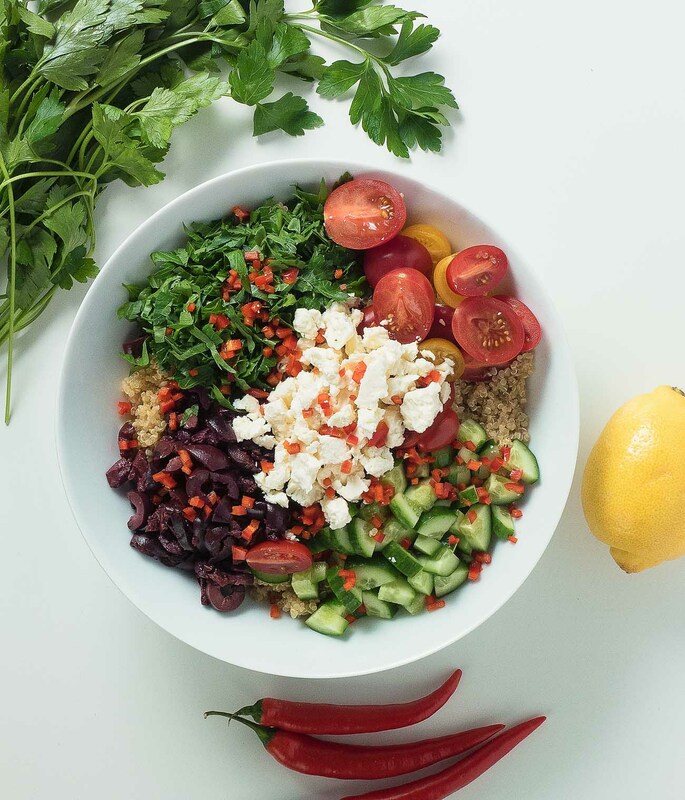 Mediterranean quinoa salad is a fresh and summery dish that’s loaded with flavour. It’s Peru meets Greece in a bowl. And it’s super easy to make. It’s great with grilled chicken or lamb. If you’re into making board sauces when you grill the mix of flavours is fantastic. Tastes like summer to me. It’s actually so easy it doesn’t really need a recipe. Make some quinoa. Chop up some stuff. Toss with a vinaigrette. Eat. You can use whatever you feel like. I do a bunch of different versions of this salad. Cajun spice, jalapeños and cilantro. Honey vinaigrette with red peppers and mango. I’ve even gone Indian with this. A bit of curry powder when you cook the quinoa works. Try it. Mediterranean quinoa salad is just one way. But it’s a pretty good way if you don’t already have this in your repertoire. 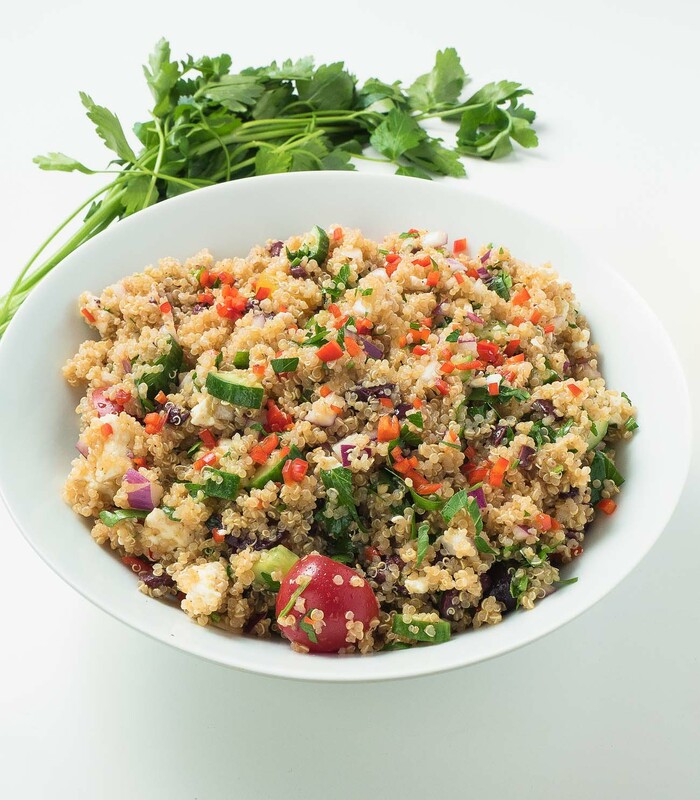 Mediterranean quinoa salad is great served with grilled chicken or lamb. Clean tasting and healthy, it makes a great light lunch too. 1 cup uncooked quinoa cooked per directions, with 1/3 tsp salt. If you are not vegetarian, using chicken stock instead of water adds a nice extra flavour boost. Cook the quinoa and let cool. Mix the olive oil, lemon juice, sherry vinegar and salt together. Combine the rest of the ingredients and toss with the vinaigrette. Taste for salt and adjust. In italian, sides and stuff, Vegetarian. Bookmark the permalink.